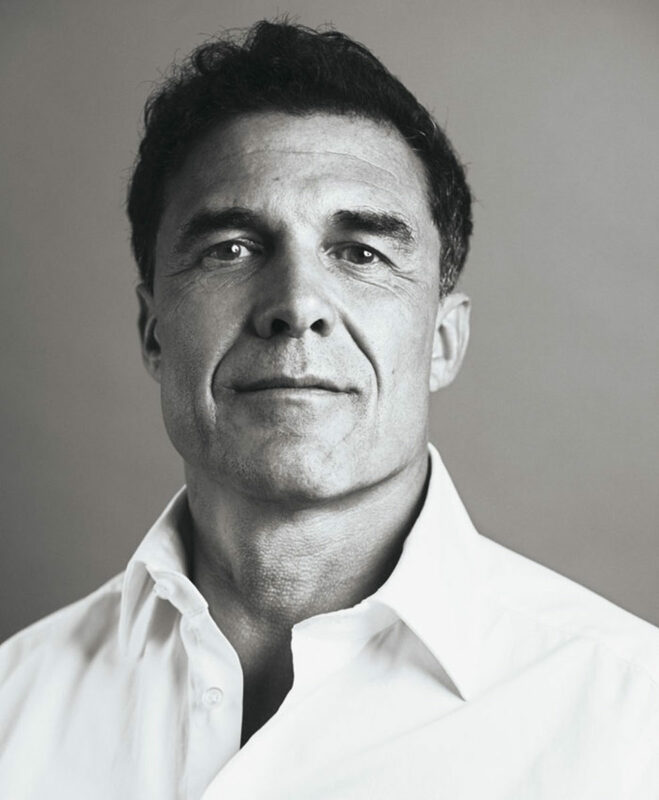 A hotelier with a lifestyle that matches that of a celebrity, André Balazs possesses an impossibly refined palate for design and a repertoire of high profile romances. He plans each project with the end user’s wants and needs in mind, and that’s perhaps why his hotels are star-studded, hook-up destinations, as no offscreen persona better understands the lifestyle of the A-list, than the hotel pioneer. Mr. Balazs, 57, states that each hotel is approached as if it is an old fashioned movie studio production. It starts with an idea, then a writer is hired to create the script, a director to bring the vision to life, and a producer is sought to financially back the production. This statement is not simply analogous, as he has been a pioneer in working with film set designers for interior spaces including Sean Hausman and Roman & Williams. These designers are well-versed in scene setting and mood due to their previous vocation and are not just traditional interior designers confined to thinking in terms of light, space and colour. The film production analogy is also suitable as the credit list on an André Balazs product runs as long as that of a Hollywood picture. Balazs uses a number of designers and artists to help shape the guiding narrative of a project. Each project is layered to communicate to its audience of discerning, fashionable, creative guests who will note different elements of the voluminous design narrative. An art director is even hired at each hotel to ensure the continuity of this vision at each address. But as no film is deemed a success with credibility amongst the creative classes alone, his projects are commercial blockbusters by focusing on one holy grail: “experience.” Take the Standard High Line: Every design element has been conceived to ensure the tantalisation but also comfort of its guests. Simple measures, from overstocking mini bars and pet friendly policies, sit side-by-side ingenious design that creates lustful spaces for activity whilst innovatively sacrificing lobby space; the traditional democratising space of a hotel. Instead a modern structure that mimics post-War construction (a deliberate touch) sits on stilts that creates a plaza beneath the hotel for events, the boom boom room with unique sweeping views of Manhattan sits below the top level, where Le Bain, a spot for the cognoscenti attracts good looking frolickers from around NYC and even internationally. Marco Brambilla’s “Civilization” even plays in the lift, a playful art installation taking guests from hell (the lobby) to boom boom room (heaven). Heaven and Hell: The glittering bar (above) that crowns the Standard offers panoramic views of the city with an aesthetic as distinctly and bizarrely nautical as it is Vegas. 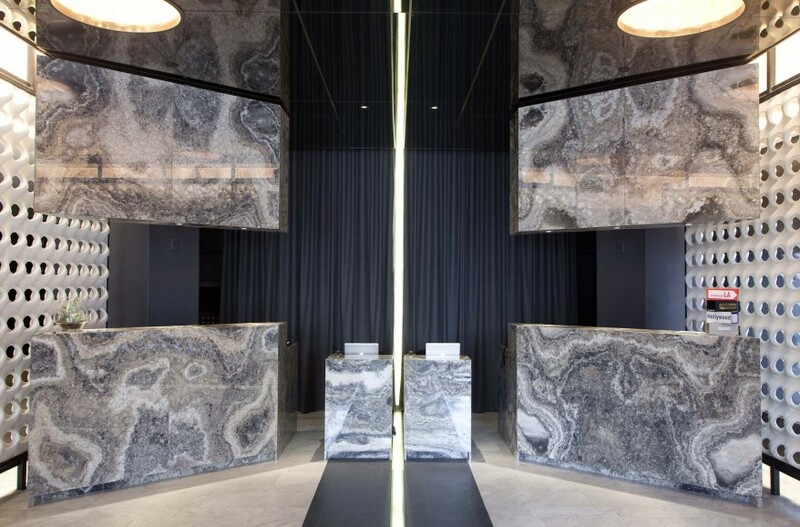 The space age style lobby (below), with its glossy marble, mirrored ceiling, and perforated dividers, formally welcomes its guests to the otherworldly playground that is Andre Balazs’ incomparable imagination. 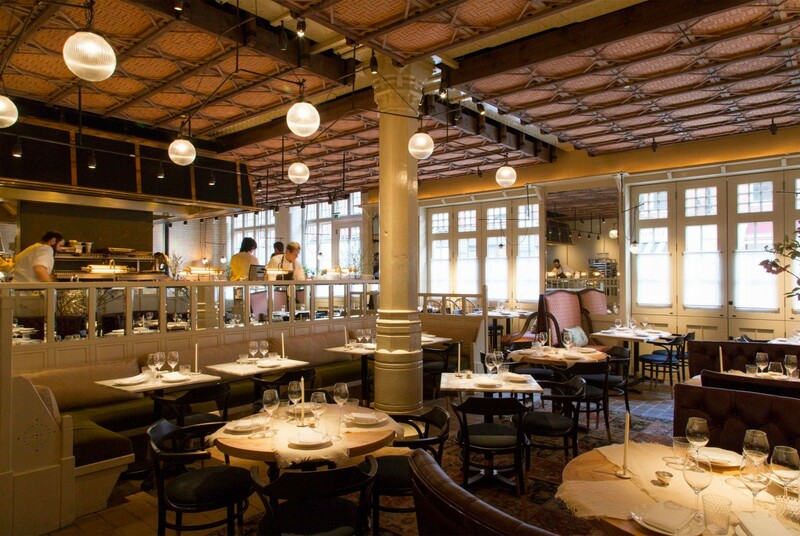 His first project in London, the Chiltern Firehouse, has been lauded as a massive success with regular notable guests from Rita Ora and Tony Blair to The Beckhams. The art of the Firehouse rests in the transformation and ingenious use of a building designed as an architectural accomplishment from the exterior but a functional mess as an interior space. Balazs and his team, including Studio KO, carefully navigated the space adding new structures to mimic the existing so that even the most careful eye would not notice the difference, to brighten and open up the space. The hidden hallways and secret gardens are remnants of the awkward layout but are retained, revealing the ever present playful side to his projects, as they provide discreet areas for guests to further their acquaintances in private. He then masterfully brought in Nuno Mendes of Viajante, who has propelled to new heights following the success of Firehouse. One also only need take a room at the Firehouse to experience world class service and attention from the staff decked out in Club Monaco. 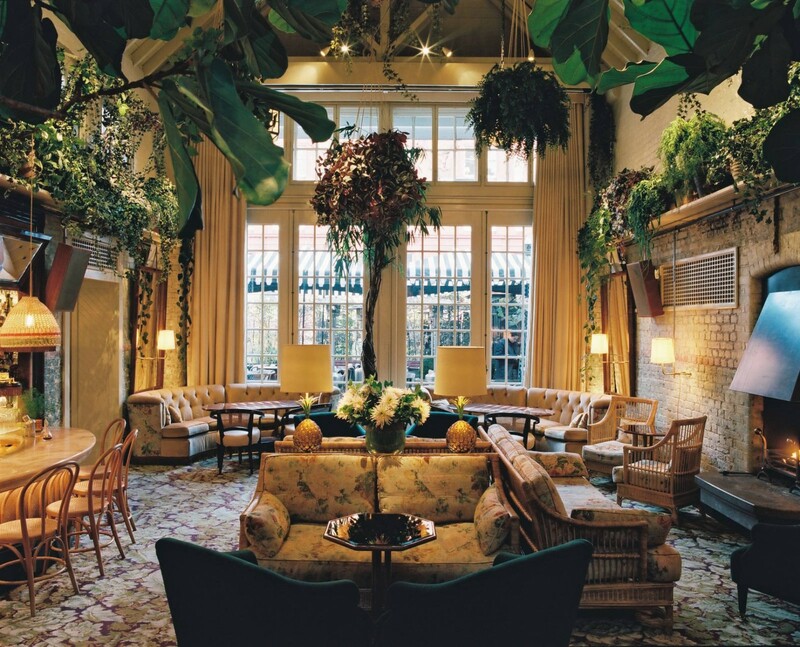 The lobby bar (above) at the Chiltern Firehouse feels something akin to a mediterranean greenhouse, while the hotel’s restaurant (below), run by head chef Portuguese Nuno Mendez and with a delightfully understated menu centred around simple and seasonal comfort eats, feels like an extended (albeit much more opulent) living room. The 28-room-building from the late 19th century has, under the watchful eye of Balazs, kept many of its original features, walls, dead-ends and exposed ceilings, resulting in a labyrinthine-like maze that is populated by warm and plush interiors, plus the not-infrequent celebrity sighting (and hookup). Andre Balazs is currently working on the new Standard Hotel at King’s Cross and a second restaurant adjacent to Chiltern Firehouse in London.